We are a cozy indoor playground and party venue ideal for children 1 to 7 years old, although all children of any age are welcome. 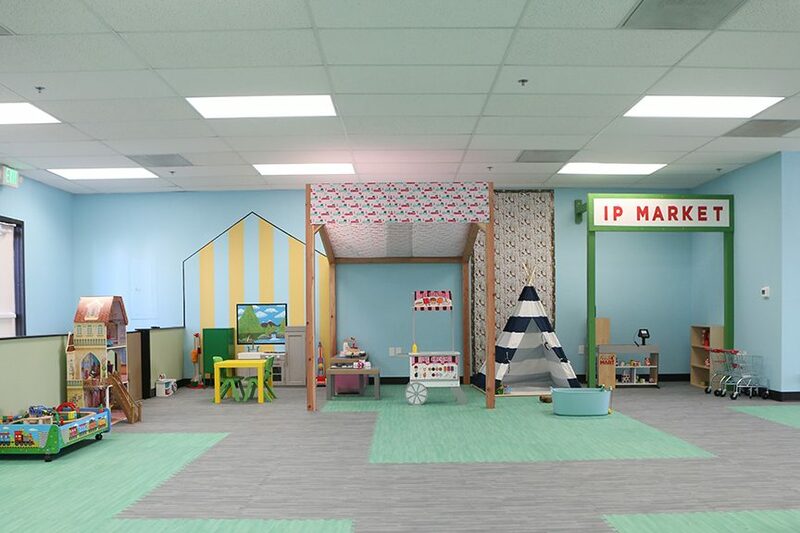 Our space is dedicated to pretend play, sensory play and of course imaginative play! We offer arts and crafts, special events, and birthday parties. Our open concept design means you can see you child from anywhere within our facility. Sit down, even for a few minutes, and enjoy a cup of complimentary coffee while your child plays. See you soon. We are open for open play 7 days a week. Please check our hours by visiting our calendar. *On slow days when all customers have left and there is no new admittance within the last hour of open play hours, we may close early. -Snacks, juice boxes and water are for sale in our snack bar. Complimentary coffee is provided with sugar and non-dairy creamers. -A packed lunch and outside drinks are allowed. We do not have a microwave to warm food. Please note we are a peanut free facility. -Food is not allowed in the main play area. Please keep all food in the eating area so we can keep our toys are clean as possible. -No running, throwing, riding toys down the slide, building blocks higher than yourself or rough play is allowed in the facility. -Parents must be present and supervising their children at all times. -ONLY 2 accompanying adults per family. Any additional adults or children will be charged admission. Additional adults and siblings are charged whether they play or not. We do not offer refunds. -Please keep any sick children at home and visit us on a different day. Read about our illness policy. Stress-free birthday parties for your kids with a bring your own food option and packages for any budget. Rent a soft play or pretend play area and we’ll come to you. Preschool Field Trips or Large Group Outings. Contact us for special group rates. One of our most popular offerings is our special events. Some people call it one big party with all your child’s favorite characters. The special events usually revolve around a theme. Fun themes we have done in the past include: Frozen, PJ Mask, Paw Patrol, Moana and New Year’s Eve. Check out our calendar to see when our next special event is. We often sell out, if you see an event that you’ll like to attend buy tickets as soon as possible.